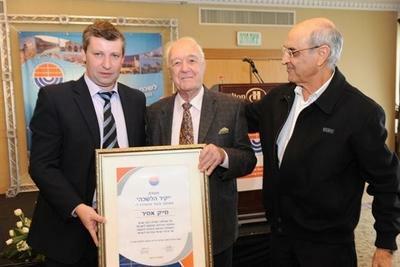 On Thursday December 20, 2012 Mike Amir – one of the founders of Vered Hasharon - was awarded a certificate of merit by the Israeli Minister of Tourism. 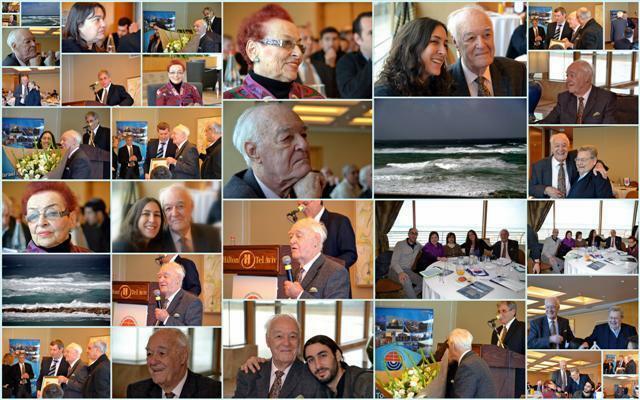 The event was held at the Hilton Hotel in Tel Aviv and present were all the members of the Israel Incoming Tour Operators Association. 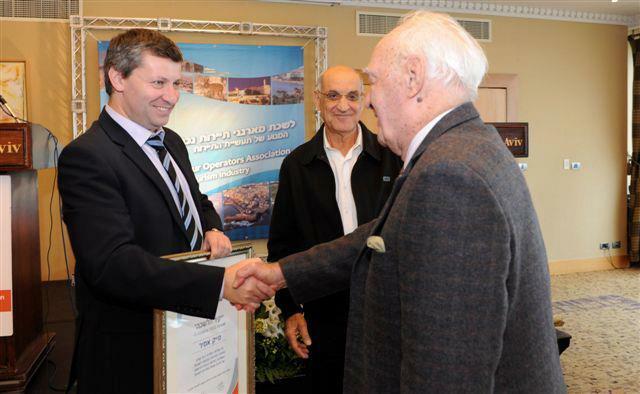 Mike Amir has been in the incoming tourism industry for over 50 years, primarily working with Christian pilgrims worldwide and bringing pilgrim groups to tour the Holy Land. 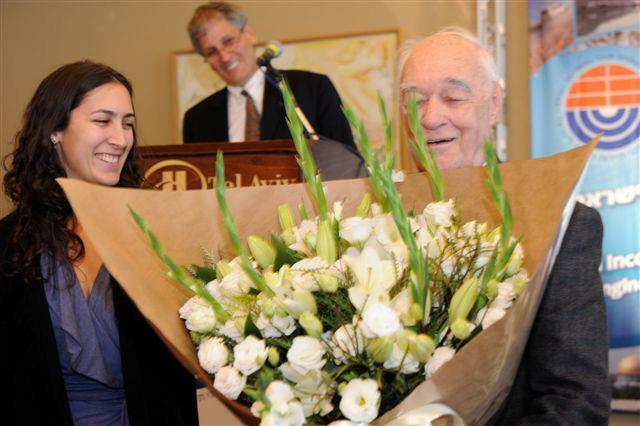 The award Mike received is in recognition of all his achievements in incoming tourism in Israel and his public service to establish Israeli tourism.